In an astounding vote on the 46th anniversary of Roe v. Wade, the New York legislature paved the way for abortions in the Empire State at practically any time up until the birth of the child and for almost any reason. The New York State Senate passed the Reproductive Health Act late in the evening on January 22, and Governor Andrew Cuomo quickly signed the bill into law. 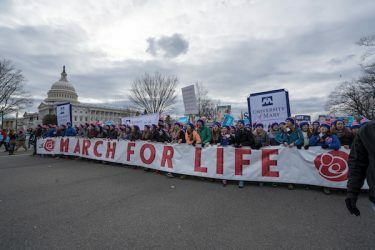 This comes as much of the nation mourned the anniversary of the U.S. Supreme Court ruling in 1973 that forced the legalization of abortion on every state in the nation and has resulted in the deaths of an estimated 60 million children since that time. Even before this new law, over a third of all unborn children in New York City were aborted. The Centers for Disease Control and Prevention (CDC) reports that in 2015, there were 544 abortions for every 1,000 live births in NYC. A form of the Reproductive Health Act had been introduced many times in New York over the past 12 years but Republicans, who controlled the New York State Senate, had blocked it each time. In last fall’s election, however, Democrats added eight seats and now hold a solid majority in both chambers of the New York Legislature, and the Governor’s mansion. This enabled them to push through such a radical and wretched bill.